Viola Davis hit a double header at the 2015 Emmys, and she did it simultaneously, scoring one for gender and one for race. She breached the No Trespassing line that, as Matt Damon inadvertently admitted recently, filters out and designates the folks who rank in big-stakes media as both white and male. As millions watched, this Juilliard graduate took the best actress award for a leading role in a television series, and she is neither male nor blonde. Accused of being too hard and not pretty, such snipes may have hurt but they did not deflect her determination. She kept her eye focused inward, and scaled a historical summit. And she knew just who, from ages past, she wanted to share her spotlight. Harriet Tubman was her choice. Southern and enslaved, beaten into physical disability as a child, Tubman lived enslavement’s injustice. As a Christian, she was taught everyone was equal, and so she prayed for guidance. After successfully escaping captivity, she returned to free others. Back and forth across the slavery line she went, taking away its fleshly prizes, the strong men who made fortunes for their owners and the fetching young women about to be impregnated to add to the plantation store. Tubman’s bravery and daring sparked recognition in Davis. Both had lines to cross, even if those lines were not identical. Tubman crossed and re-crossed the line from slavery to freedom, and still equality stayed out of her reach. The lady and labor line confronted Davis. Would she ever be accepted into the ranks of the lady, given respect as the equal of anyone, no longer sent to the back or side door of life as the help. Slavery is not Viola’s enemy, but its grandchildren and great grandchildren are, men and women, like Donald Trump and his ilk who want the dark other out of the Oval Office and the White House. Their place is to keep cleaning the mess of an owning class, lords and ladies of the universe, who have inherited the earth and everything on it, and, by rights, can tell those alien intruders parading as Americans the only role for them in the land of Trump et al. is toilet cleaning, like Kelly Osbourne said. History is full of uncanny moments, and one of them is that Harriet Tubman, the liberator and re-gendered Moses of the southern slave, born in 1822, managed to live to celebrate the Emancipation Proclamation’s golden anniversary in 1913. Tubman made freedom flesh, leading band after band of her people through swamps and forests by night, connecting with a network of white and black allies, going north across the line, getting to Niagara and Canada, far away from the Mason Dixon, heading for the green fields and lovely flowers that Viola Davis referenced in her acceptance speech. And the hands of help that beckoned Tubman forward, are still waving. And so many of those hands now belong to her daughters and granddaughters across the generations – a long line to today, including Josephine Baker, Halle Berry, Diahann Carroll, Taraji Henson, Eartha Kitt, Abby Lincoln, Butterfly McQueen, Shondra Rhimes, Kerry Washington, and Ethel Waters. One by one they broke through the lines of division and put down a long path of paving stones across the distance from one side of the history line to the other. And freedom and acknowledgement were forever the prizes. Freedom, the wherewithal to stand as tall as everyone else and know that your chances at life are democratic, even if you were born brown on the far side of a struggling town. Sometimes, acknowledgment is the reward on the other side of persistent effort. Over and over again, Harriet Tubman dared death to free others. 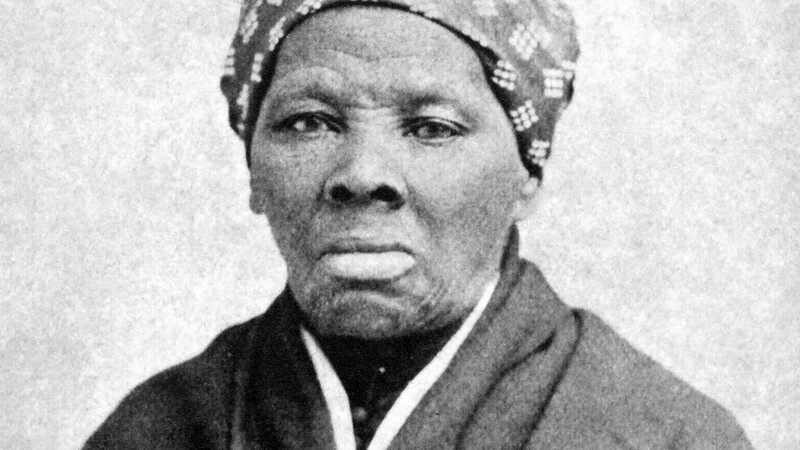 Yes, Abraham Lincoln signed the Emancipation Proclamation, but Harriet Tubman waged her own private war, crippling slavery so much it fell to its knees. In the end, though, she got little thanks and no pension for her service. Now, Viola Davis and her husband are working with HBO to bring Tubman’s story to the 21st century screen, and they have roles and say in front of and behind the camera. This time, the lovely flowers in elusive green fields just might bloom and spread their petals beyond the No Trespassing line. In a gender-frightened and bashing world, not only women but brown people too are stepping up to the plate and letting it rip. And this unsettles the Trumpites roaring their bravos to the name-selling guy who holds their banner high and bulldogs his way forward. So it was great to have a break from the spite when the brown beauty trio, Davis, Henson, Washington, emoted together at the Emmys.